Tarunsika, Inc. began operation in 1999 with the intent of helping original equipment manufacturers (OEMs) find top-quality custom solutions at competitive prices. Today, our customers include major players in the automotive industry, as well as farming equipment providers and general industrial manufacturers. 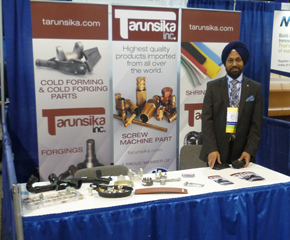 Tarunsika is a certified supplier with the Canadian Aboriginal & Minority Supplier Council (CAMSC) reciprocal a member of the Michigan Minority Supplier Development Council (MMSDC). For more information on our products or to learn how we can help you, contact us today.